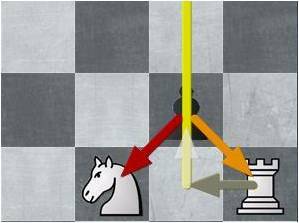 A break-out tactic happens when you try to escape from a tactic by using a forcing move. The three types of forcing moves are captures, checks and threats. 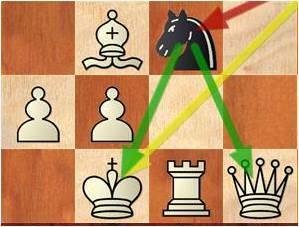 A forcing move gives you time to defend yourself or to save your pieces from a tactic. 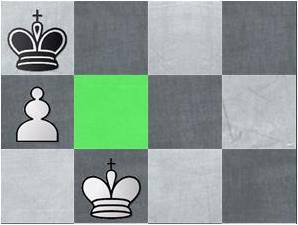 To find a break-out tactic, look for a forcing move that will cancel or undo a tactic. When a tactic happens to you, do not give up. Look for a way to break-out and escape. A counter tactic happens when you try to escape from a tactic by using another tactic. It is similar to a break-out tactic in that you are trying to make the best of a bad situation. 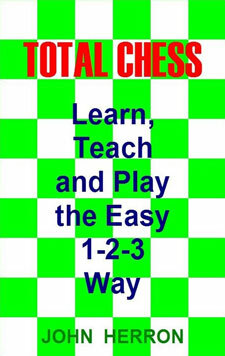 You are caught in one of the opponent’s tactics and you are looking for a way out. A counter tactic may use another tactic to defend directly against the opponent’s tactic. Or, it may use another tactic to give you time to get out of the opponent’s tactic. Or, like a counterattack, it may use another tactic to strike back at the opponent, to fight back. To find a counter tactic, look for a tactic that will cancel or undo another tactic. When a tactic happens to you, do not give up. Look for a way to counter the tactic with another tactic to escape. A desperado tactic happens when you try to get as much as you can for a piece that is lost. Since you are going to lose the piece anyway, you do not want to lose it for nothing. You might as well get something for it. A desperado tactic is also called kamikaze. It is sometimes like a zwischenzug tactic. Sometimes you are going to lose points no matter what you do. There may be no way to get much back. Other times, you can get back just as much as you are losing, so it ends up being an even deal, a fair trade. There are also times when you can get back more than you are losing. This is a desperado tactic at its finest. To find a desperado tactic, look for a way to get as much as you can for a piece that is going to be lost anyway. 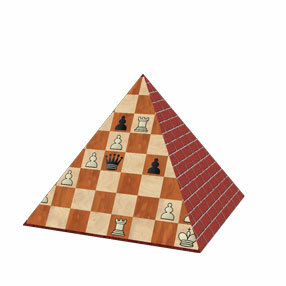 Capture one of the opponent’s pieces, or weaken the opponent’s position in any way that you can.